The project will support parent to set up and run their own local parent / family groups, with groups existing across Hertfordshire. The Family Officer will support parent /carers to run these groups, providing training on topics linked to hearing loss and linking families together. The project will also provide training in deaf awareness for organisations so that you can identify places that are accessible to your deaf child and your family. Look at the map of Hertfordshire on our website showing you where these organisations are. Funded by Hertfordshire Community Foundation. Funded by the Big Lottery. Deaf friendly workshops, Tips for getting on in a hearing workplace and Deaf-friendly work experience. PLUS a week’s work experience to practice the skills you have learnt. 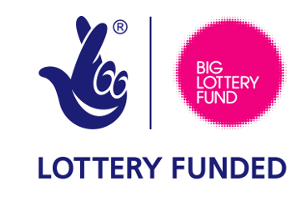 This organisation have allocated funding to pay for communication support, this will provide communication support to those young people wishing to participate in the Duke of Edinburgh scheme. Training for parents and other family members in hearing loss – topics to be decided by parents and family members, including grandparents. Activities for children and young people to develop independence in communication, life skills and social inclusion.